Inspired by one of nature's enthralling beauty, this April Flower Ring Set blooms in beauty and elegance. 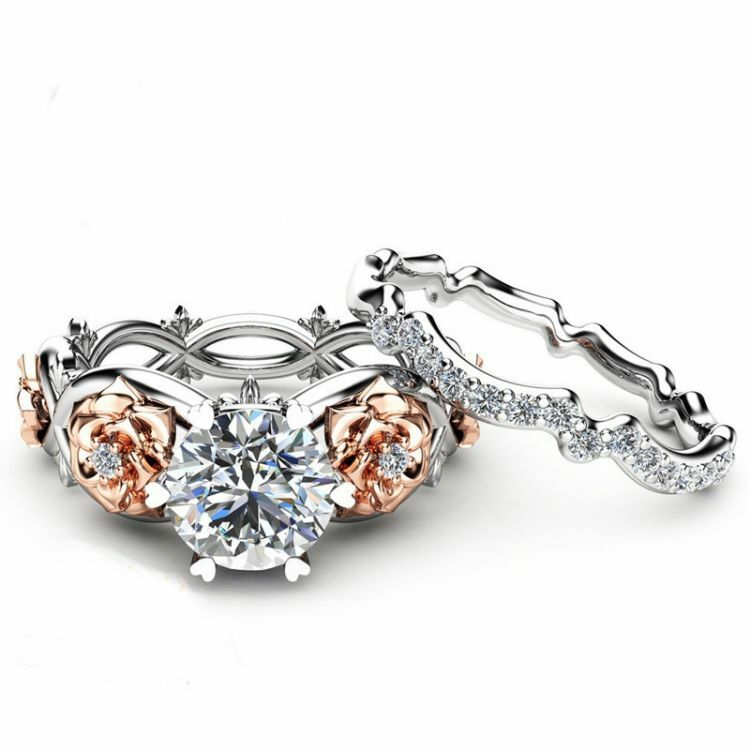 It is adorn with rose gold plated flowers and sparkling CZ stones that looks stunning in a platinum plated ring. The main stone is a Diamond Zircon that plays wonderfully with light making it a shimmering and fiery stone.